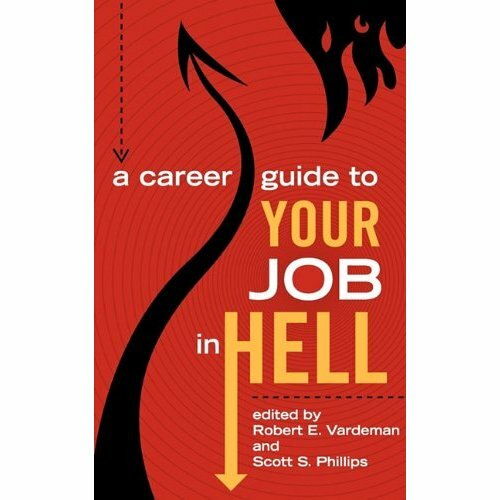 A bunch of folks involved with the short story collection A Career Guide to Your Job in Hell will be signing Saturday, April 9, 2011 at 2:30 PM at Page One in Albuquerque — including a couple of Cheese Magneteers. The lineup: Bob Vardeman, Victor Milan, Scott Denning, John Jos. Miller and myself. Also, author Daniel Abraham will be on hand to discuss and sign his book The Dragon’s Path. In addition to Career Guide, my books Squirrel Eyes, Tales of Misery and Imagination and Unsafe On Any Screen will be available. Page One is on the southwest corner of Montgomery and Juan Tabo. Come on out and say hi!